WFUV's Raffaele Elia sat down with Head Coach Stephanie Gaitley on this week's episode of the Stephanie Gaitley Show! They discussed the Rams recent victories against Rhode Island and Davidson. Coach Gaitley, as well as the On-The-Court guests, discuss how the team is feeling as the regular season is close to completion. 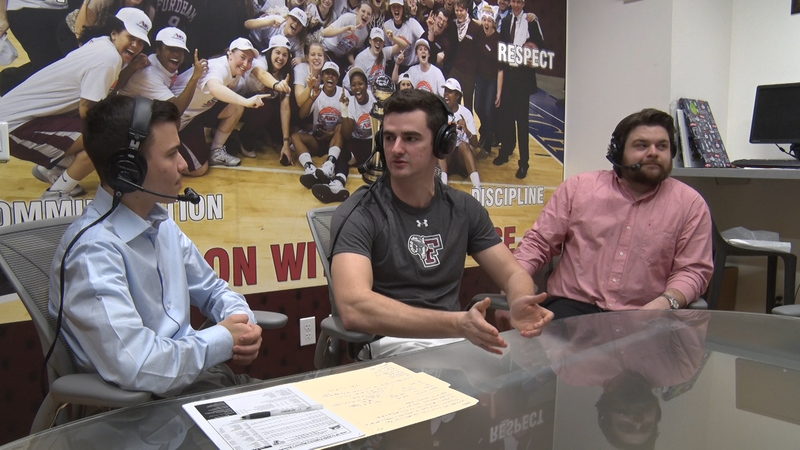 During the On the Court segment of the show, Raffaele and crew mix things up and welcome Assistant Sports Information Director Ryan Uhlich as well as the team's Video Coordinator Christopher Scerbo. The Rams next game is Sunday, February 18th as they travel to Dayton, Ohio to face off against the Dayton Flyers. Tip-off at 2 PM with the One on One Pregame Report at 1:55 PM, right here on WFUVSports.org.